With the ecological integrity of Yellowstone National Park in contention between developers and environmentalists, the events of its exploration and founding take on added interest. 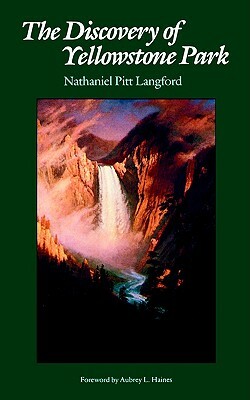 This Bison Books edition of Nathaniel P. Langford's journal brings back into print one of the principal sources of information on the exploration of the Yellowstone region and its establishment as America's first national park. The findings of the 1870 Washburn expedition, of which Langford was a member, gave credence to the findings of the Folsom party of 1869 and resulted in the sending of a government survey party into the area in 1871. The culminating effect of the three expeditions was the federal legislation creating our first and largest national park and marking the beginning of the national concern for the preservation of America's heritage of wilderness beauty.